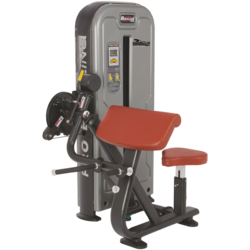 Single Station gym machines are built and designed specifically for one exercise or body part. 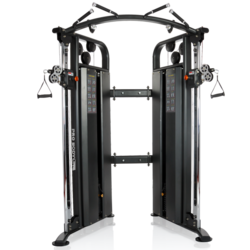 In commercial health clubs / gyms you will see these machines in the weight / strength sections. 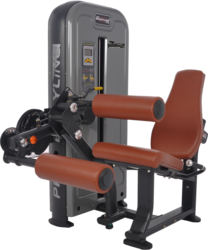 Single Station machines are arranged according to muscle groups which they are targeting by their resistance method. These machines are grouped by the bodypart they are targeted for. 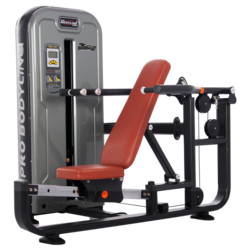 For example, leg machines will include Leg Presses, Leg Extensions, Hack Squats, Leg Curls, Calf Machines, etc. In a gym these machines are grouped together so that you can move between machines easily during your workout. 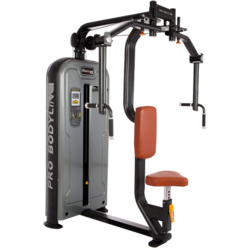 Single Station Gym Equipment are also classified by resistance type i.e. how the resistance is applied to the exercise. However, the most common type in a gym is having a cable attached to a weight stack. You have to use a pin to select the weight that you would like to lift. Dimension Lxwxh Mm 2280 X 1660 X 1060 m.m. Total Stack Weight 200 Kgs. 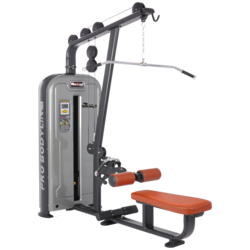 Functional Trainer: Independent, adjustable cable, resistance allows for extremely smooth action, lower increment weight increases greater range of motion. Size: (L X W X H):1981 X 1207 X 2286 m.m.